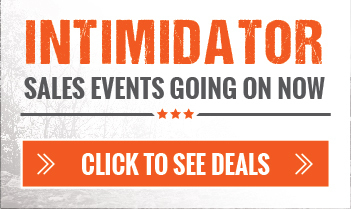 Side by Side Utility Vehicles | Intimidator Inc.
On 2015 models, receive up to $1000 off MSRP on select models at participating dealers when paying with cash or take advantage of our Premium Financing Plans, including 0% for 48 months. Or, receive up to $500 off MSRP AND use any of our Standard Financing Plans. Destination, Setup and additional charges on top of MSRP may apply. All rates will be determined by the financing institution funding the loan based on the applicant’s credit score. Contact an Intimidator Dealer for additional information. On 2014 models, receive up to $1500 off MSRP on select models at participating dealers when paying with cash or take advantage of our Premium Financing Plans, including 0% for 48 months. Or, receive up to $1000 off MSRP AND use any of our Standard Financing Plans. Additionally, choose between receiving a free 18-month extended warranty or a Gourmet Guru Grill. Destination, Setup and additional charges on top of MSRP may apply. All rates will be determined by the financing institution funding the loan bases on the applicant’s credit score. Contact an Intimidator Dealer for additional information. Intimidator, Inc. is owned by Robert and Becky Foster, former co-owners of Bad Boy Mowers. Intimidator offers world-class, American-made, side-by-side 4x4 vehicles with unparalleled strength, power, and performance at an affordable price. The company's expanding line of products includes the Intimidator Classic, Intimidator Crew Cab, Intimidator Truck Series, and the new GC1K and GC1K Crew Cab, all built to suit a variety of needs from hauling feed, hunting, or traversing a rocky creekbed! Headquartered in Batesville, Arkansas, the family-owned company has over 300 employees. Intimidator products are sold through a quickly growing network of dealers in the United States. Intimidator and its partners, Bad Dawg Accessories, and Ground Hog Maxx, provide the best aftermarket selection of accessory items the side-by-side market has to offer.